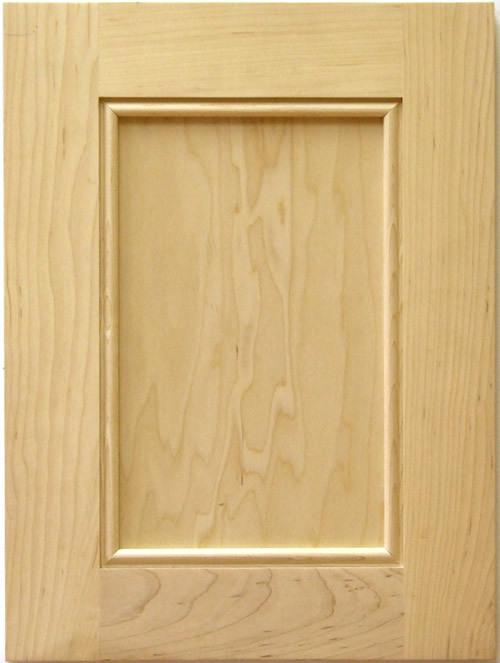 Door size pictured is 11 3/4" x 15 3/4"
What is the width of the 106 moulding? The 106 moulding is 3/8 inches wide. What is the minimum width for doors in the Stonybrook style? The minimum door width is 4 7/8 inches. This is achieved by reducing the stiles from 2 1/4 inches to 1 5/8 inches. The 106 moulding remains at 3/8 inches wide. The minimum width of exposed panel is 7/8 inch between the mouldings. As the door width is increased we widen the stiles first then expand the exposed panel width. The minimum width without reductions is 7 1/4" which leaves 2 inches of panel exposed.